Ever heard the phrase “Don’t mess with Texas”? 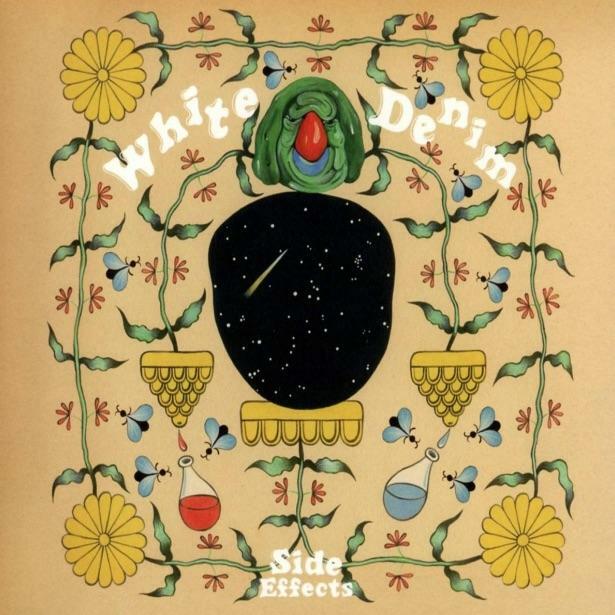 White Denim have been doing just that, with Texas, the rest of the world and our heads all being propelled through a haze of psychedelic, bluesy, jumping rock that’s cared little for boundaries since the release of their brilliant debut album Workout Holiday in 2008. Side Effects is their second release inside tweleve months, but that should never be perceived as a bad thing where they’re concerned. Billed as a collection of songs closer to their hard-jamming roots, it’s predictably much more expansive than that, taking in acid-soaked riffs Hallelujah Strike Gold and Shanalala’s bone dry funk. This is, in effect, a bunch of extremely versatile and talented musicians flicking through a phone book of influences and trying them on; each of three instumentals explores a different dimension, whilst the centrepiece is undeniably NY Money, a frewheeling homage to their sometime tourmates The War On Drugs.